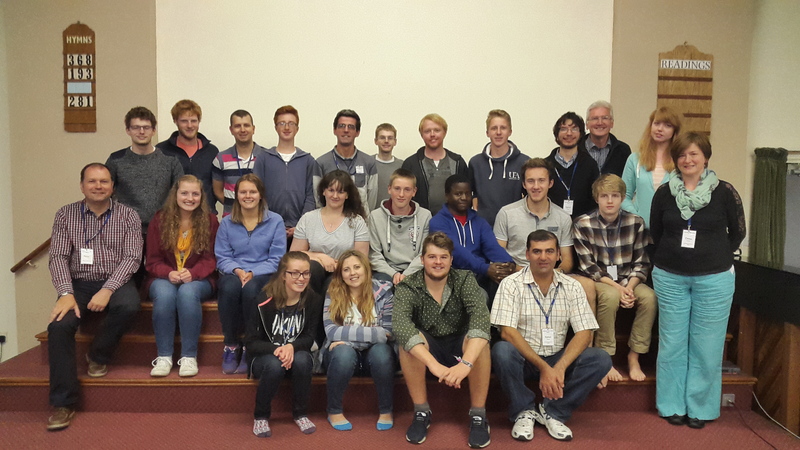 Here is a group picture of those attending the September Bible School this year. We had a superb weekend with our speakers - Phil Heaps (Bristol), Andy Paterson (FIEC) and Kamal and Emma Zarour (Manchester). All the sessions were very stimulating and challenging and there was areally good group atmosphere. We are now all looking forward to next year and the possibility of even more young adults coming along. This year we had people from a wide range of places around Britain and including Auden from Malawi and Lawrence from Romania, so this year had an international feel especially since Kamal is Jordanian too!